For those students interested in Viola lessons in Houston, Vivaldi Music Academy offers a comprehensive viola curriculum individualized to each student’s needs while incorporating core principles. Our wonderful Viola Faculty take care in utilizing elements of different teaching methods that work best for each student. Beginning students start with the fundamentals including correct bow hold and finger placement, rhythm, reading music and learning simple songs. Advanced and experienced students continue to progress with increased proficiency in technique such as bowing skills, scales and arpeggios in all keys and registers, master significant repertoire and more. The Houston Viola lessons provide a comprehensive music education that includes theory, ear training, sight reading, technique, and history. The viola dates from the same time as the violin, coming into existence in the early to middle 16th century. The viola is slightly bigger than the violin. A full-sized violin has a body length of 14 inches whereas there is no official full size for a viola. Violas found in orchestras generally range in size from 15 to 18 inches. The extra size is the crucial element in the creation of the viola’s unique sound, which is often described as being deep and mellow. The viola plays notes that are lower in pitch and often fills in harmonies in an orchestra by blending the string sections together and giving body to the orchestra as a whole. Many noted violinists have publicly performed and recorded on the viola as well, among them Eugène Ysaÿe, Yehudi Menuhin, David Oistrakh, Pinchas Zukerman, Maxim Vengerov, Julian Rachlin and Nigel Kennedy. Modern groups such as alternative rock band 10,000 Maniacs, Imagine Dragons, and folk duo John & Mary use the viola as well. Jazz music has also seen its share of violists, from those used in string sections in the early 1900s to a handful of quartets and soloists emerging from the 1960s onward. 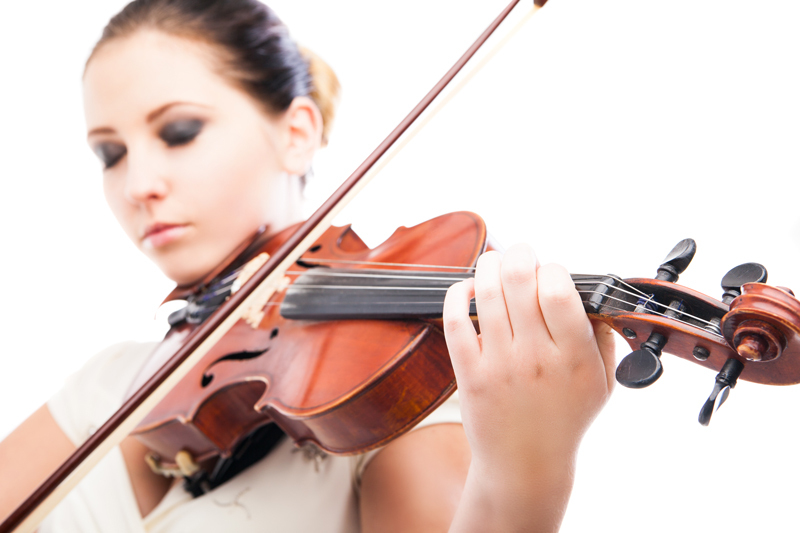 Why choose us for viola lessons?